Our panelists: Josie Olson (Play Therapist), Loan Kline (Pediatrician) and Katherine Brown (Early Learning Center Director), and our moderator, Lauren Barnes. We often talk about bellies and babies here at the Collective, but today's topic includes issues specific to our two- to four-year-old children. Potty training, big kid beds, and limits– there are lots of unique challenges within this age range. Loan focuses mostly on gross motor skills in the first year and language skills during the second year. Katherine sees children develop at various paces; her organization does an assessment based on each child instead of comparing children to each other. They use the assessments, along with parents' assessments, to help the children achieve goals. While it can be tempting to push children to reach certain milestones, that behavior in parents can be harmful. Josie recommends setting them up to achieve these milestones by creating an environment that will help them to get there on their own. Potty training is a big milestone that parents are often anxious to achieve sooner than later. Loan says that you can start before two, but most kids are not going to be ready by age two. Signs of readiness are the ability to follow two step commands ("take your pants off and sit on the potty"), recognizing that they have gone (if they will continue to play in wet underwear then they don't have this awareness yet), recognizing that they need to go before they go, and a willingness to sit on the potty. A potty in the car can be a solution for transitioning from at home potty training to going out in the world. Fear during potty training is another hurdle some children need to overcome. Josie recommends validating their fears; having them draw or use puppets to show what exactly they're afraid of, and then helping them find a solution (like picking out a new toddler potty). 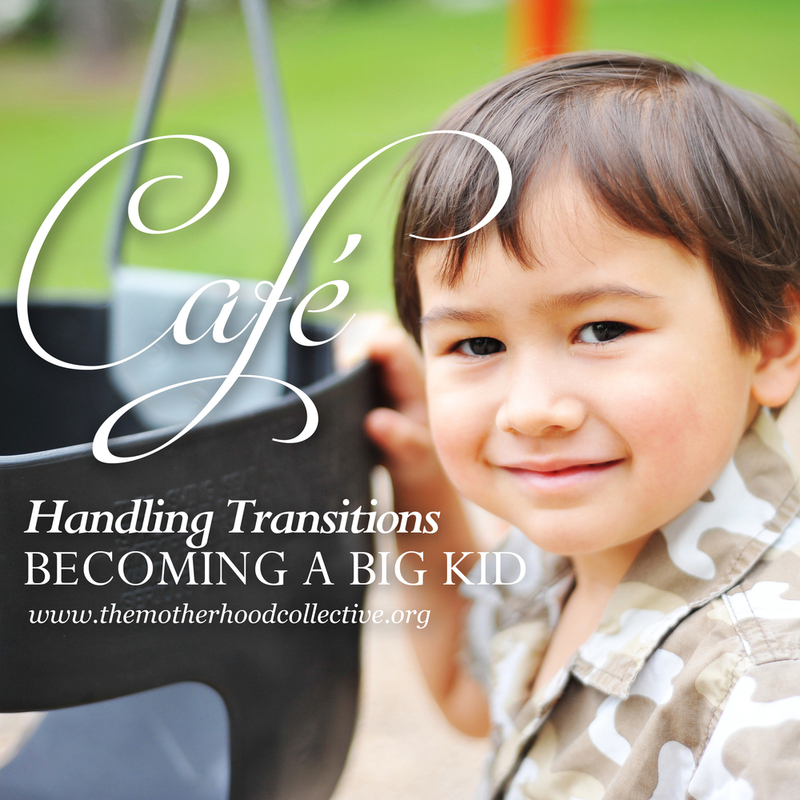 Sometimes transitions and milestones overlap. Having a second child can make parents want to potty train their first child before they're ready. Reading their cues and waiting until they're ready is usually the better option for both parent and child. An audience member suggests that two babies in diapers is much easier than struggling to potty train a toddler that isn't ready, while juggling a newborn as well. According the National Sleep Foundation, toddlers (1-2 years) need about 11-14 hours of sleep in a 24-hour period. When they reach about 18 months of age their naptimes will decrease to once a day lasting about one to three hours. Naps should not occur too close to bedtime as they may delay sleep at night. Many toddlers experience sleep problems including resisting going to bed and nighttime awakenings. Nighttime fears and nightmares are also common. Many factors can lead to sleep problems. Toddlers' drive for independence and an increase in their motor, cognitive and social abilities can interfere with sleep. In addition, their ability to get out of bed, separation anxiety, the need for autonomy and the development of the child's imagination can lead to sleep problems. Daytime sleepiness and behavior problems may signal poor sleep or a sleep problem. Loan finds that these guidelines are true for most toddlers. Toddlers that do well with less sleep usually have a parent that also functions well on fewer hours of sleep than average. One indicator that they are not getting enough sleep is growth; the growth hormone is released during sleep so if a child is not growing well sleep may be the issue. Transitioning out of the crib usually happens around two to three years of age. Some children are ready earlier (if your toddler can climb out of the crib it is time to move them). For active/climbing children, consider taking anything dangerous or furniture that they can climb out of the room. Some parents stay in the room after bedtime to enforce the idea of staying in bed for the first few nights; do not engage with the child, simply direct them back to bed immediately. There are various reasons that children have trouble with bedtime. Some children have trouble relaxing their bodies; you can gently massage or rub their back until you hear their breathing change and they are ready for sleep. Remember that with any transition it can take your child a few days, or longer, to get used to the new routine. Consistency will help them adapt easier. If children are afraid you can help them realize their monsters (with drawing or clay) and discuss how to overcome that fear (with "boogie monster" spray, for example). Josie says to never do for your kids what they can do for themselves. Empower them to help and take care of themselves and their things. Model how to do things, give them the tools to help, and they will join in and eventually be able to do things themselves. Loan says a sense of responsibility is very important. Her office provides a list of age-appropriate chores for parents. Singing or making it into a game can help ("let's put all the blue blocks away first"). If a toddler fails once and then gives up, you can help them gradually learn to do it themselves. You can break the task into smaller steps to help it seem more manageable and provide more opportunities for success. Remind them of past successes, and talk with them about problem solving. Emotional regulation for toddlers is a process. 18 months to three years is a period of negativity. They delight in refusing a request because it is a new-found power for them. This is also a time they are testing boundaries and seeing what they can do. Give them choices to help avoid the constant "no". Let them make small choices to help them feel empowered, and stick to routines. Tell them when there is going to be a change of plans and help them prepare for new situations. Shaming your child is never helpful. You can point out bad behavior but reiterate that the child is not bad. Use positive language to tell them what to do, instead of using negative language to tell them what not to do ("walk, please" as opposed to "stop running"). Use books to help illustrate good and bad behavior. Katherine has classroom meetings to discuss problems before they arise. She lets the children talk to each other to help them learn from each other. Discipline is an ongoing process, but with young children redirection and distraction is often the preferred method. If you can get them to stop a negative behavior without a tantrum or fight, they are going to be happier and learn good behavior from your positive reinforcement. When it come to matters of safety you can still give options ("you can hold my hand or I can carry you in the street"), but do not negotiate anything beyond what is safe for the child. The best time for a second or subsequent child depends on you and your family. Physically a woman's body is fully recovered from childbirth after two years. Some suggest that a three year old is much more capable of handling a new sibling than a two year old, as they are more independent. Our panelists suggest that you start preparing your child early for the arrival of a new baby. Use age-appropriate books and videos to introduce them to the idea (picture books are helpful for younger children). Getting them a baby doll of their own to take care of can be helpful, as young children like to imitate our behaviors. Talk to your child about what it means to be a sibling, and continue to promote the idea that siblings are the very best friends. Allow them to hold onto some "baby" things (like their special blankie, for example). When it comes to room sharing, experienced moms say that each child will get used to it and their sleep patterns will adjust as needed. What a lot of helpful information! Thank you to our panelists for providing so much great advice. If there is anything that was not addressed in this article, feel free to leave us a comment here or on The Motherhood Collective facebook page.